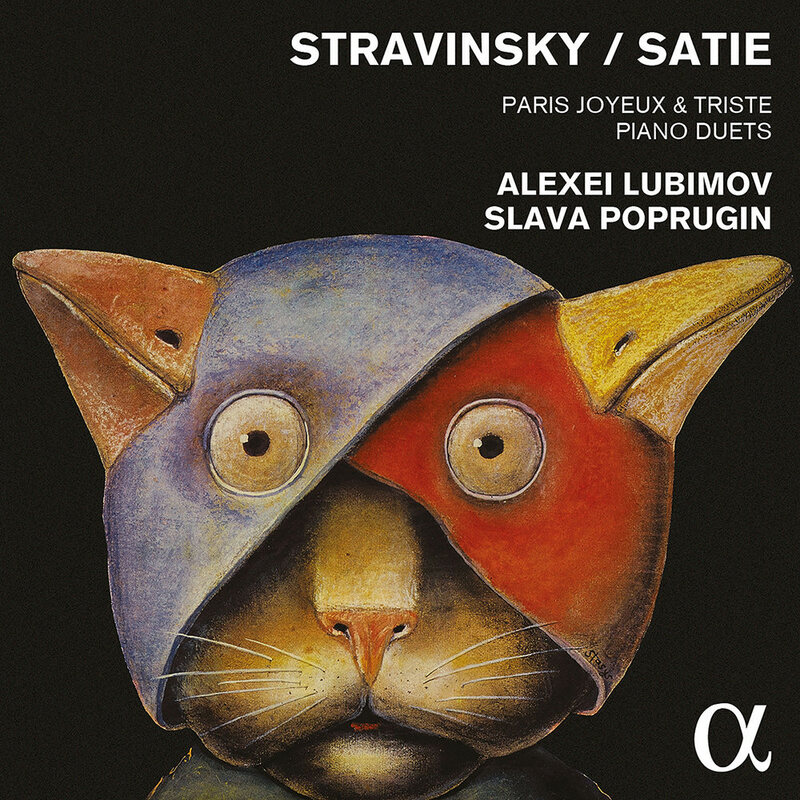 “Lubimov and Poprugin deliver a top-notch version of Stravinsky's Concerto for 2 Pianos ... but the best comes last. Darius Milhaud's four hand transcription of Satie's Cinéma is sexed up by being played on a prepared piano and the chugging, chase atmosphere duly invoked matches the source material unerringly. Motoric rhythms bulldoze and collide, with quick fire repeated notes ricocheting like a rapper's cadence ..."
This recital features Russian pianists Alexei Lubimov and Viacheslav Poprugin alternating pieces by Igor Stravinsky and Erik Satie; the two composers became friends in the early years of the 20th century despite their very different musical personalities, a contrast well illustrated on this programme. Stravinsky made his own two piano arrangement of the "Dumbarton Oaks" Concerto, while Satie’s Socrate and Cinéma are presented here in arrangements by John Cage and Darius Milhaud respectively. Pieces for two pianos, for piano four hands and for prepared piano combine on this album which mingles music and theatre, for it is the theatrical element that unites the two composers.